Look at these beautiful beans that available at market right now! I have been using them in so many dishes lately. I thrown them in to pastas, soups, and salads. I just steam them by dropping them in boiling water for about a minute. Their color intensifies and it takes a little bit of the rawness out of them. After steaming, I drain them and drop them in ice water to halt the cooking process. This way they stay nice and crunchy. I really don’t like over cooked veggies that are mushy. Here’s one of my favorite salads. It’s so easy to throw together, it only takes about ten minutes to make. It’s perfect to bring to parties in the summer months. 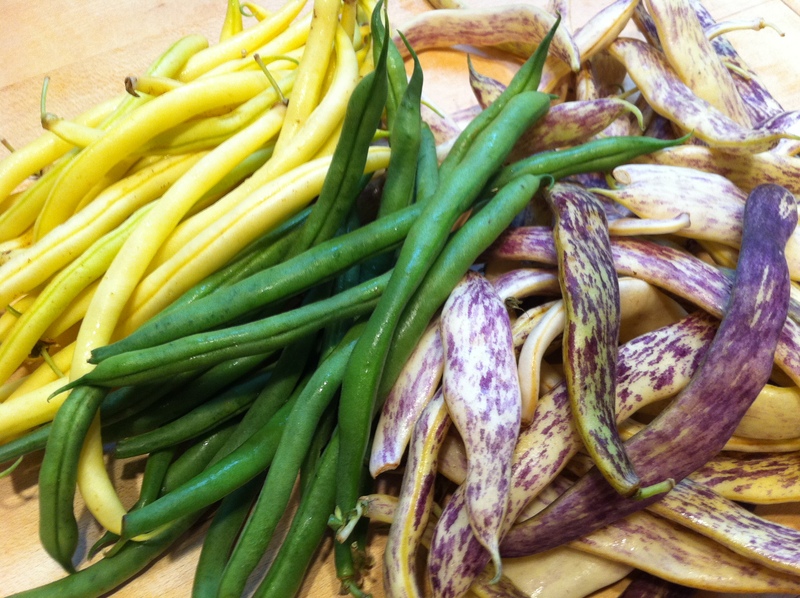 You can mix and match the beans to go along with whatever is in season. It’s even great with a variety of canned beans if it is the middle of winter.